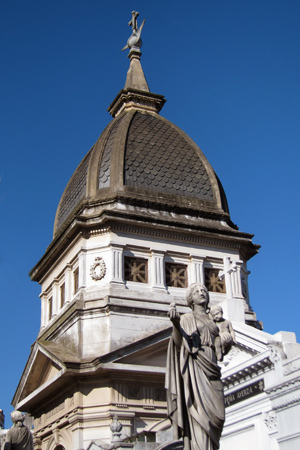 Born in Buenos Aires in 1840, the first Ángel de Estrada came from a long line of wealthy landowners & helped found the Sociedad Rural Argentina at the age of 26. His family connections plus large amounts of cash helped Ángel become a successful businessman. In 1869, he established a publishing house, the Editorial Estrada, which still exists today as part of the Macmillan Group. 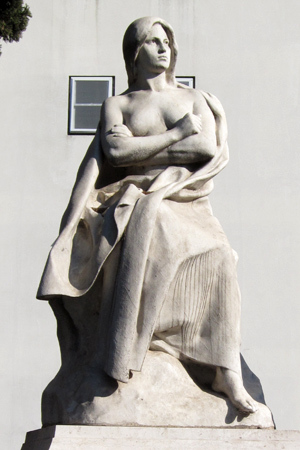 Many of his later ventures would have to do with publishing, including the first paper factory in Argentina & the production of elements for printing presses. Eventually, De Estrada would provide many of the educational materials needed for the rapidly growing nation. 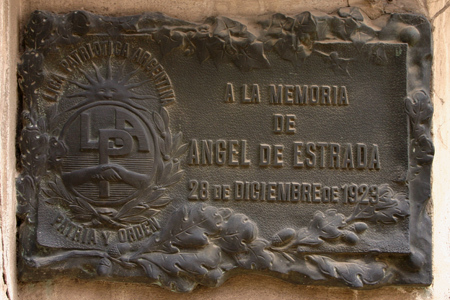 Ángel de Estrada passed away in 1918. Born in 1874, Macedonio Fernández led a fairly standard life where he studied & practiced law, had four children & published various poems. But in 1920 his wife passed away, he left his children in the care of his siblings & began anew. The following year, the family of Jorge Luis Borges returns to Argentina after an extended stay in Europe… Macedonio & the father of Borges had been lifelong friends & this friendship was passed on to Borges himself. Borges & Macedonio were often on the same wavelength, chatting endlessly about reality itself. These conversations about metaphysics would emerge 20 years later in the writings of Borges in the 1940’s. Literary circles debate if Borges would have ever developed his characteristic style without the influence of Macedonio, & Borges often credited his tutor for fashioning his intellect. They likely created each other. Las mejores posibilidades de lo argentino —la lucidez, la modestia, la cortesía, la íntima pasión, la amistad genial— se realizaron en Macedonio Fernández, acaso con mayor plenitud que en otros contemporáneos famosos. Macedonio era criollo, con naturalidad y aun con inocencia, y precisamente por serlo, pudo bromear (como Estanislao del Campo, a quien tanto quería) sobre el gaucho y decir que éste era un entretenimiento para los caballos de las estancias. The best possibilities of that which is Argentine—lucidity, modesty, courtesy, intimate passion, wonderful friendship—existed in Macedonio Fernández, perhaps more fully than in other famous contemporaries. Macedonio was a true product of this land, natural & still innocent, & precisely for that reason, could joke (like Estanislao del Campo, who he loved so much) about the gaucho & say that they were merely entertainment for horses. 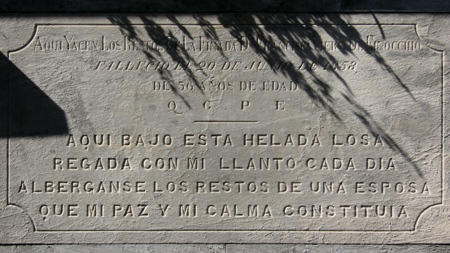 Only a few examples of poetry exist in Recoleta Cemetery. 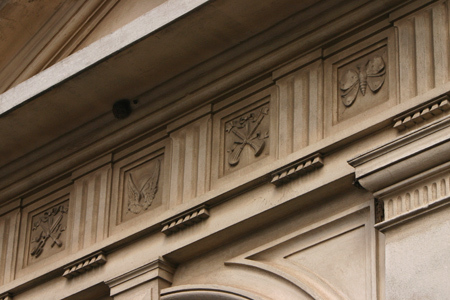 Mostly confined to plaques like that of Angélica Blanco Granada & Antonio Zwingen, this engraving surprises because it has been built into the wall of the family vault. Very unique. 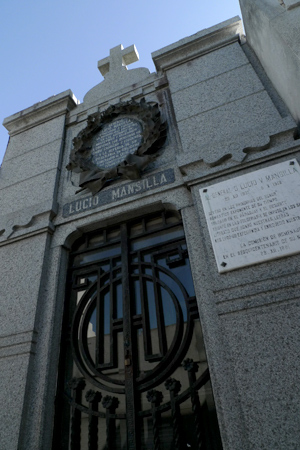 Grandson of the author of the Argentina national anthem, the tomb of Lucio Vicente López is one of few in Recoleta Cemetery paid for by public donations. 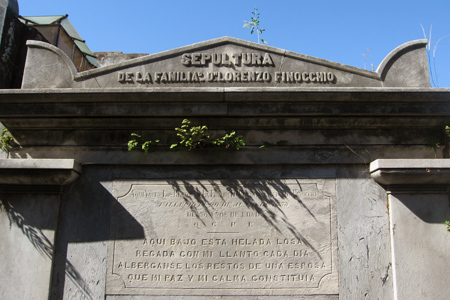 Regular readers know that the majority of plots belong to families, so something extraordinary must have happened for López to be buried alone here. It’s quite a story. Mientras depositaban el cajón en la bóveda de la familia, yo me perdí en las calles del cementerio. Cómo podía medirse allí, junto con los mamarrachos de la marmolería criolla, la imbecilidad y la soberbia humanas. 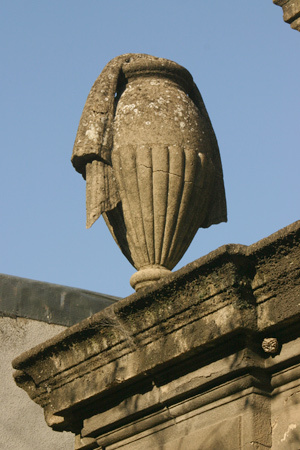 Allí la tumba pomposa de un estanciero… muchas leguas de campo, muchas vacas; los cueros y las lanas han levantado ese mausoleo que no es ni el de Moreno, ni el de García, ni el de los guerreros, ni el de los grandes hombres de letras. 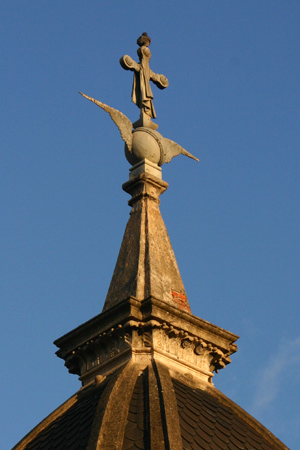 Allí la regia sepultura de un avaro, más allá la de un imbécil… la pompa siguiéndolos en la muerte…. 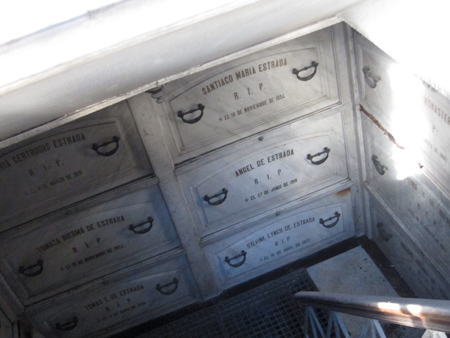 While the casket was placed in the family vault, I got lost among the walkways of the cemetery. How could one be measured there, a local parade of imbeciles & morons alongside the best of humanity. 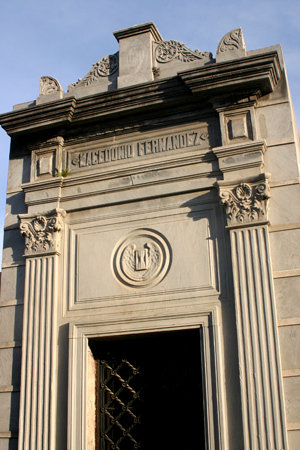 There, the pompous tomb of a ranch owner… many leagues of countryside, lots of cows; leather & wool constructed that mausoleum which does not belong to Moreno, García, the soldiers, or the great academics. As most members of the upper class, López soon became involved in politics. 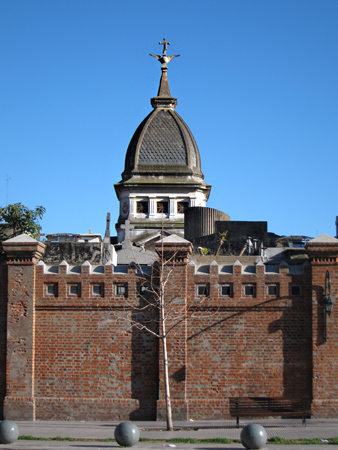 Shortly after the 1890 Revolution & under the government of Luis Saénz Peña, López was named Interventor Federal for the Province of Buenos Aires… basically a government inspector or auditor. Although in the post for less than a year, López uncovered a case of corruption that he would pay dearly for. 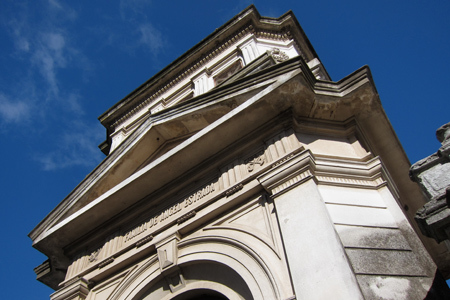 An unpaid government loan had been issued for a large lot of land… land that was later resold without payment of the original loan & whose resale also violated the loan’s terms. The person in question was Coronel Sarmiento (no relation to Domingo F.), personal secretary to General Luis María Campos then serving as Minister of War. López opened a case against Sarmiento, for which he was detained three months in a provincial prison, but in the end no charges of illicit gain were filed. During these events, López & Sarmiento never saw each other. But afterwards, the only way to clear the air between them was a duel. In the 1890’s, duels were still an occasional event in Argentina but for the most part, they involved firing shots into the air as a way to restore both parties’ honor. Not so for López & Sarmiento. This was to be a duel to the death. The godparents of both López & Sarmiento—bound to preside over the duel as tradition dictated—tried to dissuade López & Sarmiento. No need to spill blood. But in the end it went ahead as planned. Shots were fired at 12 paces & both missed. Guns were reloaded. In the second round, Sarmiento hit López in the abdomen, causing damage to his gallbladder & liver. López did not survive the night. 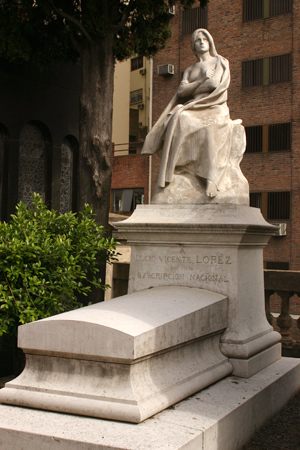 Most thought that the death of López was unnecessary & deprived Argentina one of its most respected authors at the age of 44. Old traditions definitely die hard. 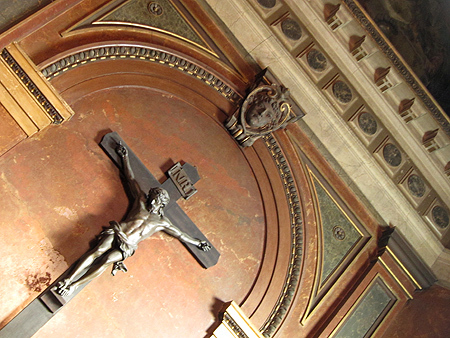 Lucio Victorio Mansilla was, like Ascasubi, a man whose life could have been a novel. Mansilla embodied the Romantic character: military man, writer, traveler, bon vivant. 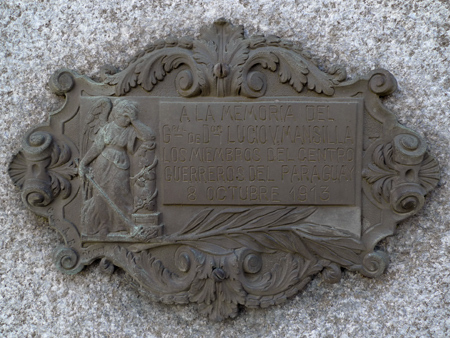 Mansilla was born in Buenos Aires in 1831… son of Coronel Lucio Mansilla & Agustina Rozas, sister of Juan Manuel de Rosas, who they called “the star of the Federation.” As a teenager, his parents sent him on a trip to Asia, the Middle East & Europe in order to discourage a love “that was not to his convenience.” Young Lucio traveled through India, Egypt & Turkey as well as France, Italy & England. Those travels would later become material for future works of literature. 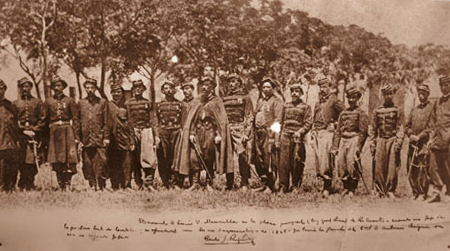 In 1868 Mansilla supported Sarmiento in his bid for President, who later designated him as frontier commander in Río IV, Córdoba. From there, he embarked on a journey south to defend a peace treaty with the ranquel/rankülche tribe. Mansilla spent 18 days with them & wrote his experiences down to be published in the “La Tribuna” newspaper. His style was colloquial & included many stories, even those told by the campfire. They were published together as “A Visit to the Ranquel Indians,” one of the most striking works of Argentine literature. Update (29 Aug 2012): Interestingly, David William Foster of Arizona State University considers Mansilla’s tales of the ranqueles as “one of the great classics of nineteenth-century Argentine prose, ranking perhaps only behind Sarmiento’s Facundo.” More info can be found here. 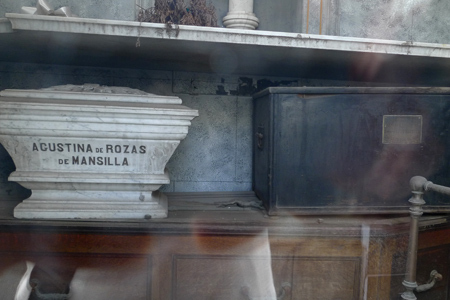 Photo of Mansilla in Río IV courtesy of the area’s Regional Historic Museum.